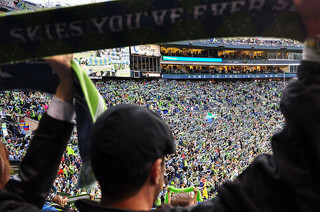 Last season, the Seattle Sounders averaged 44,038 fans per game. In other terms, they averaged almost double Major League Soccer’s second best-attended club. Seattle is an extreme outlier, for which there isn’t really precedent in modern American sports. Even in the heyday of the New York Cosmos, during which they averaged better than 45,000 fans per game, they never doubled their nearest competitors; clubs like Minnesota and Tampa were around 29,000 fans per game. I am still not sure what created Seattle. If it was a simple formula, we would have seen it replicated across the league. There are still bottom-end markets where clubs are struggling to draw 16,000 per game, and that will have to change as the league grows. 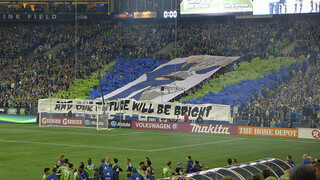 It seems to me that it would beneficial if MLS had at least one other club that separated itself from the pack. Even as an optimist, I’m talking here about 30,000, not 40,000. Let’s explore the most likely candidates. Are things that bad for NYCFC? In roughly 10 months, New York City Football Club will play its first game in Major League Soccer. As we learned last month, they will play their first home games in Yankee Stadium, a less than ideal home. Nevertheless, they reportedly sold more than 1,000 season ticket deposits the first day that they were available. But since then, news has slowed. And the club keeps tweeting that the first 3,000 people to buy season ticket deposits will become founding members of the club. This tells you that NYCFC haven’t yet sold 3,000 season ticket deposits. Meanwhile, in Atlanta, a story yesterday stated that their MLS expansion team has already sold 3,637 such season ticket deposits, with people pledging to buy more than 10,000 season tickets. What can we make of the fact that Atlanta, which doesn’t begin play until 2017, has sold significantly more season ticket deposits than NYCFC? So far, USL Pro, the third division of American soccer, is averaging 3,263 fans per game this season. If they can maintain this pace, it would be the best average attendance a third-tier league has ever had in the U.S. 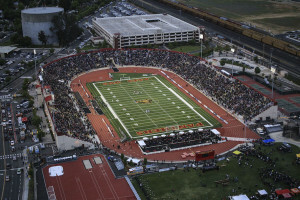 But Sacramento’s massive crowds will get smaller in their new stadium, and there’s still more than half a season to play. Read on for a complete team-by-team breakdown of attendance. So far this season, Major League Soccer is averaging 18,257 fans per game. This is smaller than last year’s average crowd of 18,608, but it is to be expected. Seattle, who once again lead the league in attendance by a wide margin, have yet to open up the upper deck at Century Link Field, and similar big summer crowds are still to come. The league has an outside shot at cracking 19,000 fans per game for the first time in its history. Keep reading for a team by team breakdown of the attendance figures.